There was just something special about Hart County, Kentucky. Almost three years ago, when I was first researching Amish communities for my editor, I read a very brief blurb about the Amish of Hart County. It really wasn’t much more than a few sentences, but they sure stuck with me! I remember reading that a lot of the Amish in that community were relatively new transplants-having moved to central Kentucky out of busier tourist places like Holmes and Lancaster counties. When I learned that the community was located near Mammoth Cave and that one of the towns in the area was called Horse Cave-because outlaws used to hide horses in the cave underneath the town, I knew it was a good setting for a six book series. I think my editor was a little confused about my reasons for choosing the area, but she gave me the green light to go forward anyway. Next thing I knew, I was planning a research trip there and was off and running! I’ve really enjoyed writing this series, and it’s a little hard to believe that almost all of the books have now been published. Each of the books has been a little different for me. They’ve dealt with some pretty intense subjects, from stalkers to undercover agents to characters with dark and painful pasts. That said, I have to admit that HER FEAR was the most surprising book for me to write. I had the same feeling when I wrote HER FEAR that I did several years ago when I penned THE PROTECTOR. I felt like the story was telling itself and I was just along for the ride. Everything about it was a bit of a stretch for me. I pride myself on creating Amish characters that are relatable and who I would want to be next door neighbors with. To be honest, almost every one of the characters was a bit ‘off’. They all had problems! Big problems. So, though a part of my brain kept telling the rest of me that I didn’t need to touch on so many well, touchy subjects, the story had the best of me. It didn’t seem to matter that I had Amish who made illegal moonshine. Or that my very sweet heroine was also very pregnant. Or that my hero had a very English job-working as an EMT. Or that even many of the ‘good’ guys really weren’t all that good. It all seemed to fit. So, I did what any other author would do who is under a pretty tight deadline: I wrote the book. I have to admit that the whole underlying theme of ‘fear’ and all things dark and twisty fit in nicely with the story lines. I just let everyone be themselves, battle their personal demons and find redemption. And, for me, I would like to think that they did. After I turned in the book and the weeks went by, I began to dread opening up my email. I was sure I was going to find a very long note from my agent carefully explaining why I needed to rewrite the whole book and tone things down. However, to my surprise, while I did have some revisions, she liked the novel almost as much as I did. That was both a relief and a blessing for me! I hope everyone will enjoy Sadie Detweiler’s story and her romance with the very chivalrous Noah Freeman. Let me know what you thought! And, please be on the lookout for HIS PROMISE, coming out in mass market on October 23. Thanks so much for visiting us, Shelley! 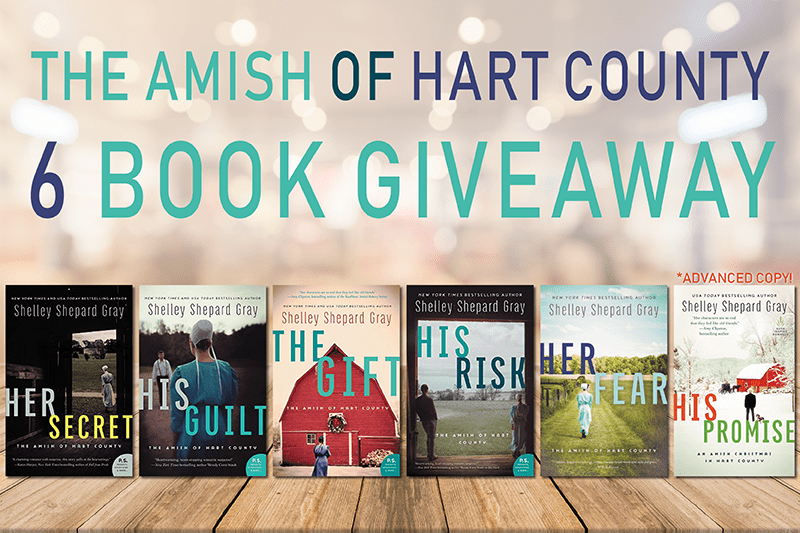 Readers, I have some FANTASTIC news: HarperCollins Publishers is giving away a complete set of The Amish of Hart County: HER SECRET, HIS GUILT, THE GIFT, HIS RISK, HER FEAR, and an advanced copy of HIS PROMISE! That’s SIX books up for grabs to one lucky winner. To enter, leave a comment below. Giveaway starts today, Friday, August 24th and ends Friday, August 31st and is only open to US residents. One winner will be selected at random and announced on Saturday, September 1st. Good luck and don’t forget to share this giveaway with your friends! I love reading your Amish books and would absolutely love to win this group of books! I love reading Amish books. I love there simple lives. I love your books and would love to win the 6 book series it would be a great addition to my library. Like your books and enjoyed meeting you in Holmes County twice. Looking forward to seeing you in Burton Ohio at the Library! This is s wonderful opportunity!! Thank you!! I would love to win this set of books by Shelley Shepard Gray. Amish fiction is my favorite genre. I am looking forward to reading more books by you. Thank you for the opportunity to win.Have a wonderful weekend. .
Fabulous giveaway!! Please accept my entry. Would be thrilled to add these wonderful books to my collection. Thank you. I love to read, please and thank you. I love reading Amish fiction! It would be great to win these books! Your books have all been great!!!! Cant wait to read the new one! What a great giveaway! I love Amish fiction! i would love this set of books. i enjoy reading and like shelley. Shelley is my favorite author. i love everything she writes. It would be great to win this series. Thank you for the opportunity. I love reading your books I have enjoyed each and every one of them. I have read other books you have written, but not this series. I would love to try this one! I love imperfect characters. Amish life is always a lifestyle I have found interesting. It would be fascinating to own this set. I have read a couple of these books and would love to read the rest in the series. This is a fantastic giveaway! Thank you so much for the chance. Have always enjoyed reading S. Gray’s works and this series sounds just as interesting. Thanks for the opportunity to win this series. I love your books.sure would love to. Designed with this set! Wow would be a great collection to own. Love all of your books and can’t wait to read these! Hoping to win. This would be a great collection to own. i Would love to win these books 📖. Oh, how I’d love to win this set of books. Love your books and most Amish stories. I find that I slow down and enjoy life a little more when I read these books! Thank you so much for this giveaway. I would so love to have these books. I have read a couple of books in this series, I believe and would love to have the whole set!!! I love all Amish fiction books and am hooked on them. Thanks for the opportunity for the giveaway. I love that you write about intense subjects instead of the same old content. Keep up the great work! This is a fantastic gift, one that I could pass on to others. Thanks for a chance. Thanks for the opportunity to win this series, I have enjoyed all of your books. Please keep writing them! Love reading Amish books. Would love to read these!! I enjoy Amish Fiction very much, I have been reading 3 books a week by different authors. I have enjoyed many of Shelley’s books over the years, but haven’t had a chance to read this series. What a generous giveaway! Thank you for the chance to win all six! I love reading your books! Thank You for this opportunity. This six book giveaway is wonderful. Would enjoy these books so much. I love your books and try to get them all. I would love the chance to get this series. Can’t wait to read the series !!!!! Shelley has an amazing gift to draw her readers into her stories. Once you start, you won’t be able to but it down till the books end. This is an amazing contest and someone is going to be thrilled to win. I know I would be thrilled. What a great giveaway, Love Shelley’s books. I really enjoy reading Amish fiction and learning about the Amish way of life. Would love to read this series. Thanks for the great giveaway. I love reading Shelley’s books!!! I would love to get these!! I love your books! What a great giveaway! I enjoy reading Shelley’s books! I would love to win this series! Thank you so much for the chance to win these books! What a beautiful giveaway. I enjoy your books so much. I loved Shelley’s other series set in Kentucky, The Secrets of Crittendon County, so I know I would love these books. Not only do I read basically everything she writes but I’m a native of the Bluegrass state, so these would be extra special to win and read. Thanks so much for this amazing opportunity! I live in Horse Cave, Ky and our neighbors are Amish! They are so down to earth and I love when they visit us and vise versa! Hope you come and visit us again soon!! I love reading your books! I’d sure love to win these! Love your books but haven’t read these yet. Thanks for the chance. I love Shelley’s books! I always make reading her Christmas novel part of my holiday plans. Very much looking forward to the next one. I love reading Amish novels. I would love to win this. Thank you for the chance. Amish fiction is my favorite!! I absolutely love read books! I love Shelley’s books along with Marta Perry’s books. When I go to PA to see family, I love driving through the Amish part of the country. This is an awesome giveaway! I love to read Amish stories. They are heartwarming. I love reading about the Amish! 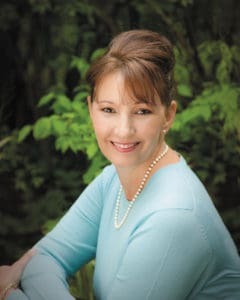 Shelley Shephard Gray is one of my favorite authors! I would love to win her books! I love Shelly’s books and Amish in general. I would love to win this set. I would really love to win these books. 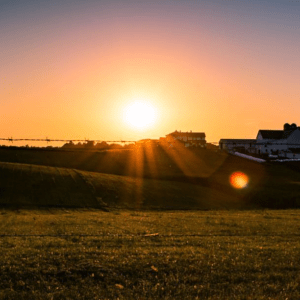 My mother, my daughters and I all share our books about the Amish. WOW, Shelley, what a fabulous and generous giveaway!! Since I have not read your books, I would love to win this package! Thanks so much for the opportunity and good luck to whoever wins this one, including me (hopefully)! Thanks for the great giveaway! I’ve read some of your books and enjoyed them. Hi Shelley, I thought I entered this giveaway but don’t see my name. Do I need to have a website to enter? Thank you for the chance to win these wonderful books! Great giveaway! What a great giveaway! I would love to have these books in my collection! I so enjoy reading your books and visiting Holmes County in Ohio. Another great series by Shelley Shepard Gray. I love that she touches on subjects that the Amish are not immune to! Thanks for the opportunity to win! Like your writing. Read alot of amish based books. Love reading Shelley’s books and I am never disappointed. A wonderful giveaway. I love all Shelley’s books. Thanks for sharing and a chance to win these books. Love your books, Shelly. Would live to win the whole set! Shelly, I love your books and would love to win this set. I love Amish stories and Shelley Shepard Grey books. Haven’t read this series yet and would love the chance. I’ve read all your books, Shelly. This would be a lovely gift to win! Thank you for this opportunity. I love your books and would enjoy these so much. Love her books!! Shelley is by far my favorite author of Amish books!! I have not read this series yet but would love to. I love Amish books. I love reading Amish novels! I would love to win this series!!! THANK YOU FOR THIS OPPORTUNTY! I love reading your Amish books! Would love to win the six book set I have read all your books and then give them to my daughter to read and now if she sees one before me she gets it so it is going down from generations. The horse cace books are from where my husbands family is from would really love to have this set. oooh, wow, nice books to read! but.. only US ? ok, unlucky. Love Amish based books, and this author is amazing! I like reading these types of books and would really love to win these six! Great giveaway, thanks so much! This sounds amazing. Thanks for the chance. What a fantastic giveaway! I’ve had the privilege of meeting Shelley Shepard Gray and she is wonderful. I just brought a 3 series book set of yours yesterday….cant wait to start reading it….would be great to win this giveaway too…Thanks! What an awesome giveaway! Would love the chance to win these books. Thank you for the chance. Love reading about the Amish. Thanks for all the great books. I love reading your books. I would love to add this series to my collection. Thank you for writing the Amish based novels. This is a wonderful opportunity ~ Good luck everyone! What a great contest ! I have loved these books so far keep them coming. Have never read a book of yours that I did not like! Thank you for the opportunity! Shelley, I south enjoy your books. Have read many. Would love to be a winner. Thank you for this offer. Enjoy reading all of Shelley’s books. Thanks for a chance to win. I love books about the Amish and their way of life. Thank you for the opportunity. Great giveaway. I really love Amish books. I Love all Amish books would Love to win these Shelley Sheppard Gray is a great Author Love your books! Thank you for the chance! Wow, would love to win these. Really like all your stories. Wow, these books would give me hours to escapism to Amish country, my favorite place to be! I love reading your bold as well as other authors on the Amish community. Would love to win this series!!! Thanks for the chance to win! I love reading Amish fiction books! This sounds like an awesome series! Would love to win. Thanks! I love Shelley’s books and would love to add them to my collection! I love all your books Shelley! I feel in love with them when I first read the Sisters of the Heart series. Thank you for an amazing giveaway! I love her books. She is a great writer. Love to read Amish books its one thing that relax me after a long day, good book like these. I haven’t read these ones yet. What a great giveaway! I’ve read most of these but would love to win this and share it. Thank you. Ohh! I love all your books. This would be amazing. I love your books and the story lines! Thanks gor the opportunity! I love Shelley’s books. Such a good giveaway. Thanks for the chance to win such an amazing giveaway! It is so kind of you! Would love to read these books, they look very good. Shelly is my favorite Amish author and all of her books are really good and these look like they would be good reads as well. Would love to win to read. Love stories about the Amish, would love to win, to enjoy your books. Thank you for the opportunity to win. What an exciting set of books! It would be a treat to win this set and get the inside stories! What a treat it would be to get the inside stories these books contain. Thank you for this opportunity! I love your books!! Thanks for the chance to win. Love this give-away. Great author. Would love to win. Amazing writer! I just recently discovered Shelley Shepard Gray’s books. I have read 5 so far and have loved everyone. I look forward to reading all of them. Like your books and enjoyed meeting you twice in Holmes County. Looking forward to seeing you in Burton Ohio at the library in September! would love to win. My husband and I love Shelley’s books. I only read amish books and only a select few authors. So happy you are among them! I am reading Her Fear now. I can’t wait for the next book. I love your books and have been reading them for years now. This is a wonderful giveaway. Thanks for the chance! It would be great to win a cooy of this series. I have read the first three books and enjoyed them. Thank you for the opportunity to win. I’ve enjoyed reading this series of e. Keep up the good work. Thank you to all involved for such a fantastic giveaway! I just love Shelley’s books and own most of them, none from this series. Even if I don’t win, I can’t wait to get them to add to my collection. I love Amish books. I will read then review and spread the word. Shelley is my favorite author. I love the Amish way of the simple life !!!!!!! Shelley is such a talented author who writes from the heart. I would love to read this whole series. I love Shelley’s books and would be so happy to read and review these. I’d like to read these and will review. I love reading Shelley’s books and would love to win this series!!! Thanks for the chance!! Shelley is an excellent writer, capable of drama, mystery, adventure and romance, all written very well. I’d love to win this series, to catch up on all her books, then share it with my church library. I am reading Her Fear right now and love it. I have loved all the books in the series and it is one series that you cant put down. Can’t wait to read the last book. I love reading Shelley Sheppard Gray’s stories. I connected after I read the first one. I would recommend her to anyone looking for a good book to read. Thank You Shelley for all your time and thoughts and sleepless nights putting all these great books together. I appreciate it and will keep looking for your name anytime I end up in the book sections shopping. Sounds intriguing. I would love to win this set of books. Thank you for the opportunity. The winner of a complete set of The Amish of Hart County is Angela Wodkowski. Congratulations! Please watch your email for directions on how to claim your prize. Thanks for entering, everyone!